Designs feature Captain Heartbreaker words plus blank ones too! We've had a ton of requests for more Boy designs so we've listened and have created lots of new fun ones - I think this one is super cute! It's perfect for clothing, bibs, burps, etc. 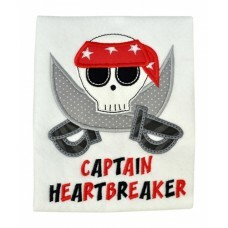 You receive the designs with and without the Captain Heartbreaker words! 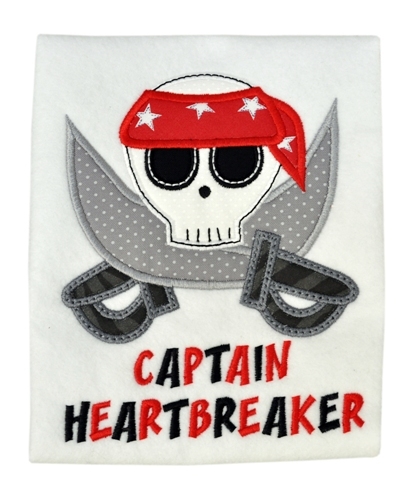 We used our fun Construction Font for adding the Captain Heartbreaker words - DESIGN IDEA - Use Construction font to peronalize with your child's name! - Link to this fun font is in our related product tab above.